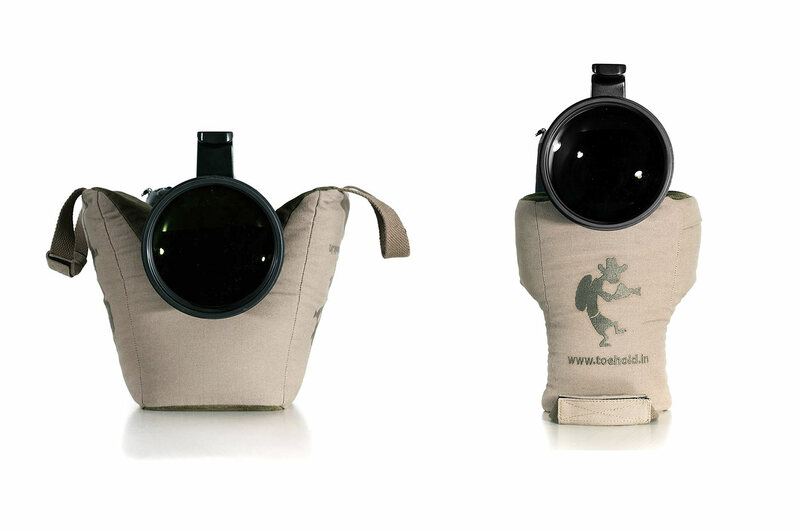 A photography bean bag is an accessory used mostly by nature photographers, especially for a telephoto lens set up. Mostly used to support heavy camera equipment, it can also be used for practically any camera and lens setup, to improve stability and decrease the chances of shake and blurry images. Photography bean bags are usually lightweight, thereby making them highly travel friendly. Bean bags are shipped empty which gives photographers the freedom of filling it with a variety of materials like beans, rice, corn, etc., depending on availability and the desired weight. Using a tripod to support heavy camera gear whilst on a wildlife safari can be cumbersome. 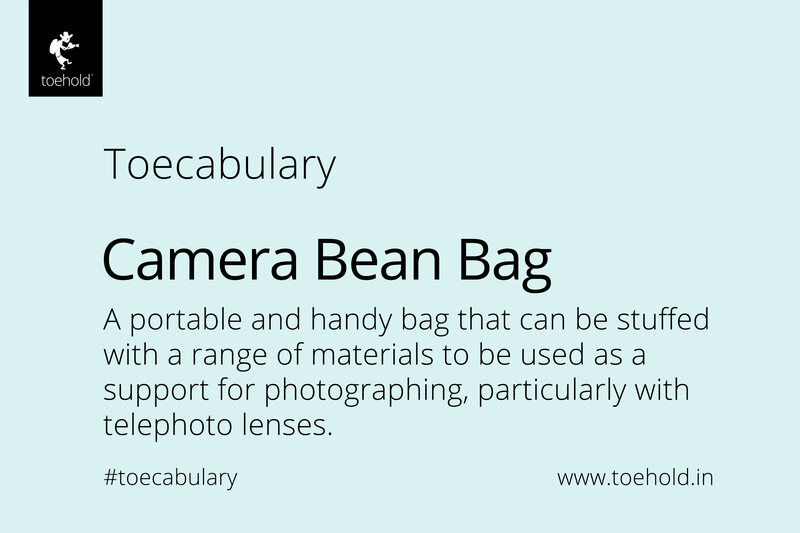 Therefore, bean bags work as the perfect alternative to hand-held photography, for nature photographers. 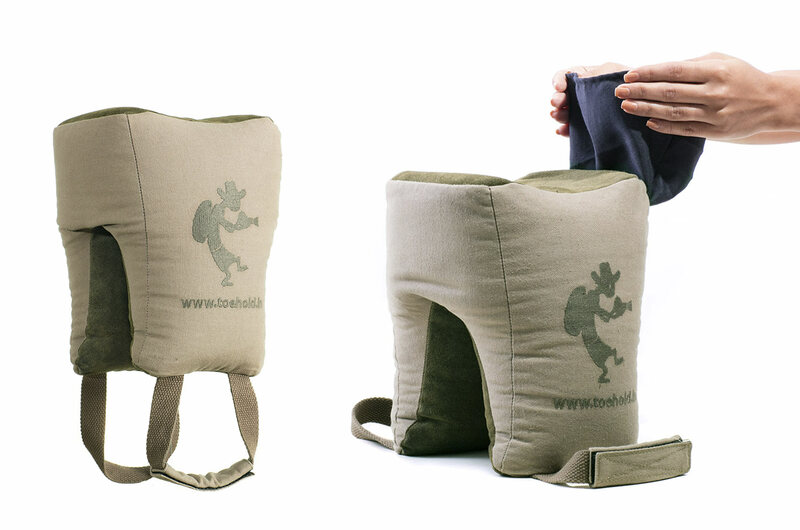 Toehold’s dimBu v3.0, is one of the most popular bean bags for nature photographers. It is designed by our photographers, keeping in mind our unique needs. Click here to learn more about dimBu 3.0 – Camera Beanbag for Nature Photographers. Interested in improving your skills? Imparting photography knowledge that eventually increases our attention and love for various details of life on this planet is at the heart of everything we do at Toehold. If you are a photography enthusiast and are interested in learning photography methodically from our ace photographers, explore our Photography Workshops and other related courses at Toehold Academy, or if you want to harness your skills and get mentored by our team of extraordinary photographers on field, in real time on our Photography Tours to destinations across India and abroad, explore our Photography Travel offerings.